Forgotten Rivers is a combination of carved stone, multiple cast forms, ceramic vessels and organic materials. It is an exploration into the mechanisms that allows some things to be seen and others to remains hidden, although still present. 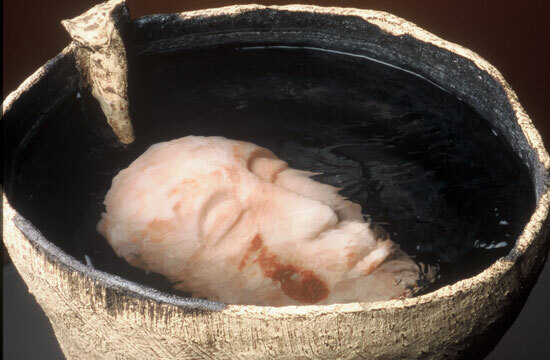 The hand built bowls hold water that flows over submerged stone faces and creates image distortions. Another bowl contains stone dust that obliterates the face when the water is in motion. Periodically the water movement stops, the dust settles, and the face is slowly revealed.